State Representative Dan Swanson issued the following statement following Governor Pritzker’s Budget Address on Wednesday. “I appreciate that the Governor described his perspective as “bold optimism”,” said Rep. Swanson. “However, I am very concerned about his comments about changing Illinois’s Constitution to create a Progressive Income Tax scheme. I understand moving this direction is the only possible way he can pay for the $1.121 billion in new spending this year and the mushrooming spending to follow further into Pritzker’s administration, but Illinoisans are sick of kicking the can down the road without addressing the real cost-drivers of our out-of-control state spending,” Swanson continued. “To accomplish some of the new revenue to support this out-of-balance budget Governor Pritzker is relying on major policy changes to include legalizing recreational cannabis, enact sports betting and adding a $.05 cent excise tax on plastic bags. I didn’t hear any discussion about growing the economy through job opportunities and growth. We can’t continue to tax and burden the hard-working people of Illinois. 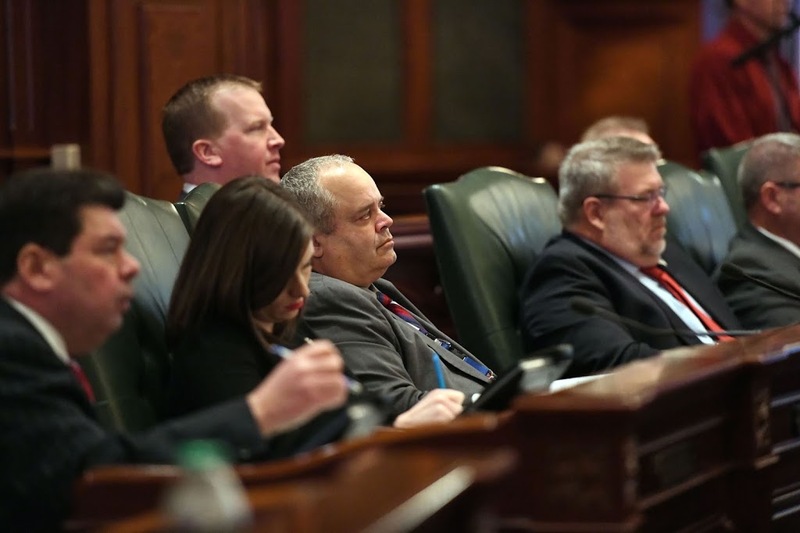 The reality is fewer and fewer Illinoisans are being asked to pay for more and more,” Swanson concluded.